I heard a news of the release of a film called Big Fish, directed by Tim Burton and what made me so excited is the soundtrack. One song of the soundtrack is from Pearl Jam, called Man Of The Hour. 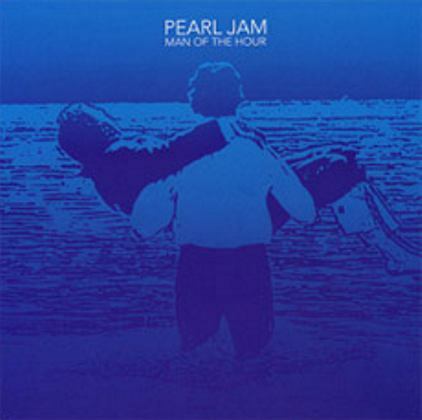 Man of the Hour is written by Pearl Jam's Vocalist Eddie Vedder. In the movie the song accompanied the closing credit, so if you want to hear the song in the film, you must watch the film to the end or just move to the credit tittle scene. The song was released as a single on November 26, 2003, featured in the first track of the film's soundtrack album and also included in Pearl Jam's Greatest Album: reaviemirror (2004). Eddie vedder wrote the song after a screening of the early print of the movie and recorded four days later. I myself is a big fan of the movie and bought all the cd's where the song is included: Man of The Hour Single, the Film Soundtrack and Pearl Jam's Greatest Hits Album. The song is about a son saying farewell to his father: it is obviously stated in the line : "The man of the hour has taken his final bow/Goodbye for now. The song is so much related to the film that tells a story of a relationship between a son with his father as the old man told him the stories of his life, that sometimes is so hard to believe. 1. Nominated for the 2004 Golden Globe Award for Best Original Song, but lost to Annie Lennox's "Into the West" from The Lord of the Rings: The Return of the King. 4. Fisrt Performed live at the band's October 22, 2003 concert in Seattle, Washington at Benaroya Hall. 5. Featured in the Cold Case episode "Into the Blue" in 2009.